John F. Wood & Company Inc. is not only committed to a higher standard of excellence in home building and renovations, but also to building a sense of trust and confidence in the clients we serve. Ensuring satisfaction, quality, and attention to detail is what we do, day in and day out. Quite simply, we are superior custom home builders. 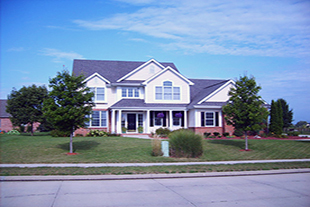 We are a reputable new home builder and home renovation contractor in the Lafayette Indiana area. We take pride in every new home and home remodeling project we complete. John F. Wood & Company Helps You Design And Build Your New Custom Home. We will build your new home on your land or ours, and also provide construction financing to facilitate the process for you, the customer. We can upgrade the interior or exterior of your home or office on time and on budget. Specializing in home and office renovations. John F. Wood & Company, Inc. was founded in 1990 by Anne and Joe Sukits. Joe has worked in the building business since the early 1970's. He was a District Sales Manager for National Homes Corporation which at the time was the largest manufacturer of panelized homes in the country. In 1977, he and a partner began a construction business of their own. 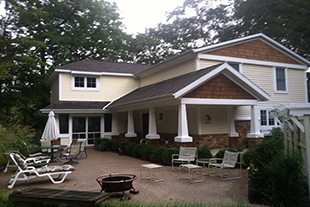 Since 1990 in addition to building single family homes we have built several dental offices in addition to renovating existing medical facilities and private offices. 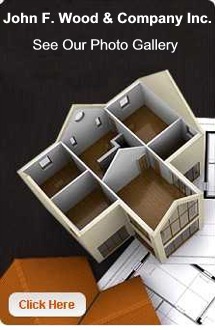 We have also done many renovation and repair projects for both new and existing clients.